The events of "No Way Out" have affected everyone in the Community, and not everyone has survived to pick up the pieces. 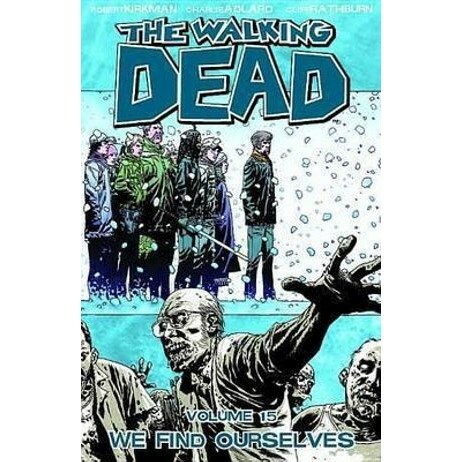 Reprinting issues numbered 85-90 of the Eisner Award-winning series, The Walking Dead. This is a reprint edition. Robert Kirkman is a New York Times bestselling author known for being the cultural zeitgeist of the comic book industry. He maintains one prerogative in every undertaking: quality. It is Kirkman's belief that good people who produce good writing and good ideas make comics people love. Kirkman was recently made partner at Image Comics, and continues to revive the industry with refreshing new characters. AMC is adapting his bestselling series, The Walking Dead, into a TV series (set to debut in October 2010), and his books are among the most popular on the iPhone and iPad's "Comics" app.